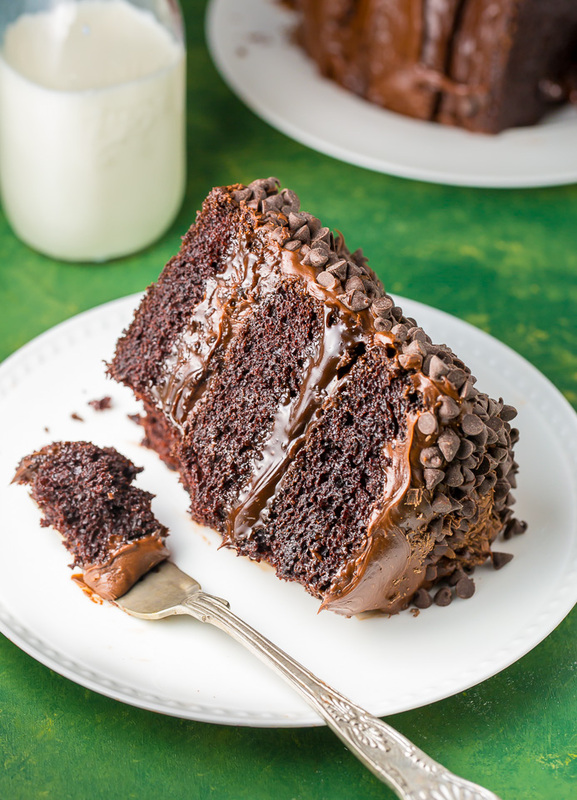 This stunning Peppermint Mocha Chocolate Cake is moist, rich, and absolutely delicious! It’s no secret I love all things peppermint mocha. It’s my favorite holiday flavor! Not to mention my favorite holiday latte. Last year I shared my peppermint mocha chocolate cupcakes with you, so this year it only felt fitting to share my super decadent peppermint mocha chocolate cake! This beauty is definitely a statement piece and sure to dress up any dessert table. 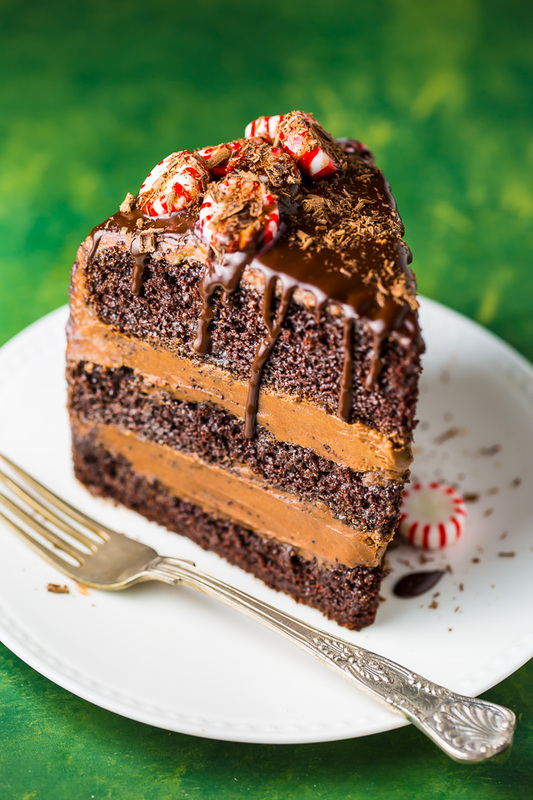 This peppermint mocha chocolate cake is for you! I suggest using strong, fresh brewed coffee and high-quality espresso power. I swear by King Arthur Flour Espresso Powder and use it in all of my coffee flavored desserts. For the best peppermint flavor, use a high-quality pure peppermint extract such as Wilton or Watkins. Make sure you have the correct variety of cocoa powder. You’ll need 100% unsweetened cocoa powder, which is different from hot cocoa mix or dutch processed cocoa powder. 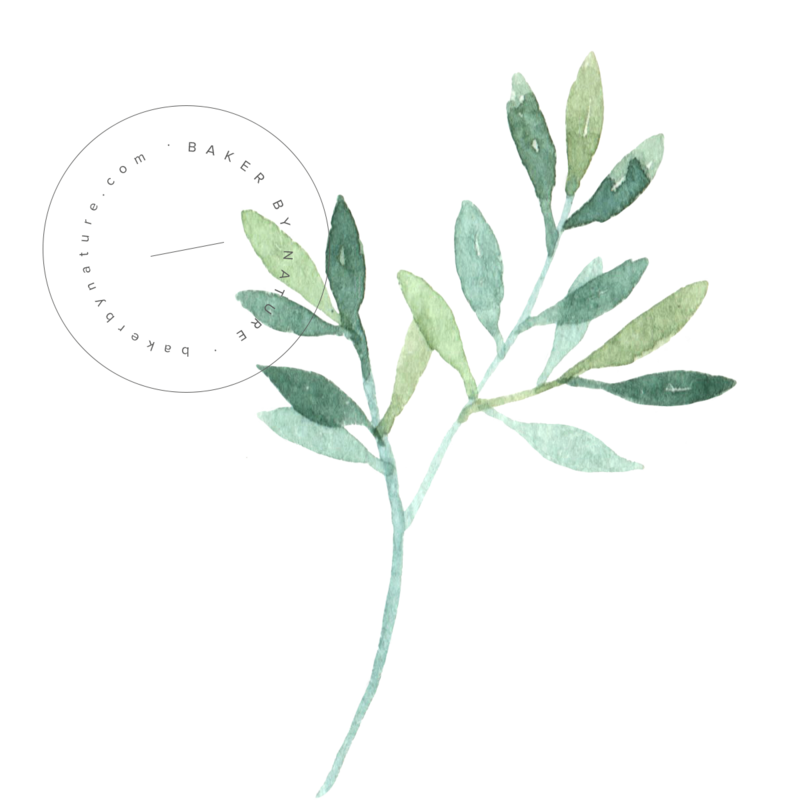 This recipe calls for vegetable oil, but you may use an equal amount of canola oil in its place. I do not recommend substituting oil with melted butter. Bring your eggs, egg yolks, sour cream, and milk to room temperature before you begin baking. When you measure the flour, be sure you’re not packing it into the measuring cup. Packed flour will yield a dense cake. For the chocolate frosting, you’ll want to make sure your butter is VERY soft before creaming it. The cakes should be completely cooled before frosting. The chocolate ganache should also be completely cooled before pouring it over the cake. Warm ganache will melt the frosting. 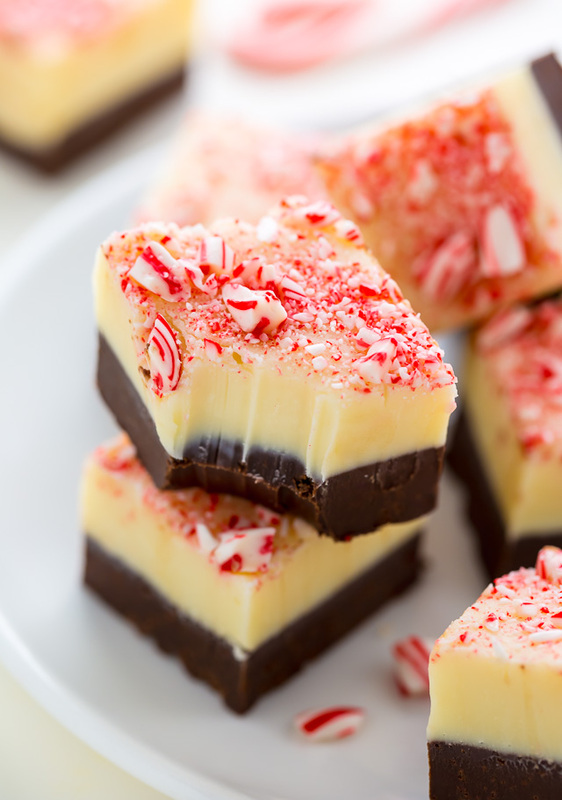 Sprinkle the wet chocolate ganache with the chopped peppermint candies at once! Otherwise the ganache will set and the candy won’t stick. Today’s recipe is part of our Holiday Baking Bonanza! 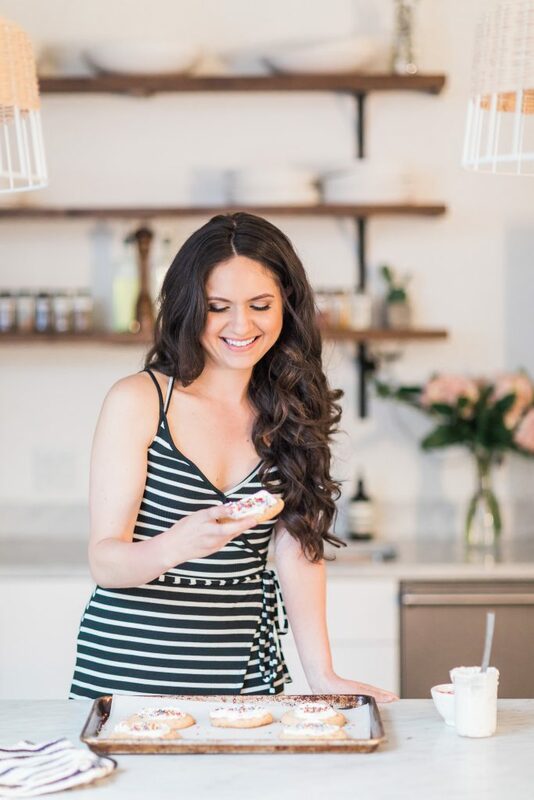 Tessa and I are having a blast sharing holiday recipes, tips, and giveaways with you this season. Have you joined our free Holiday Baking Bonanza Facebook group yet?! It’s an incredible community! 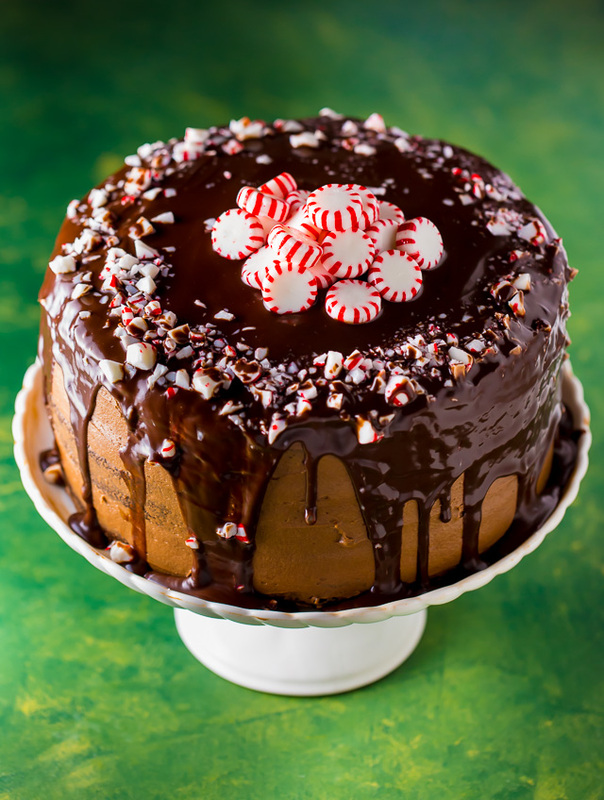 This peppermint mocha chocolate cake is sure to be a showstopper on your holiday table! 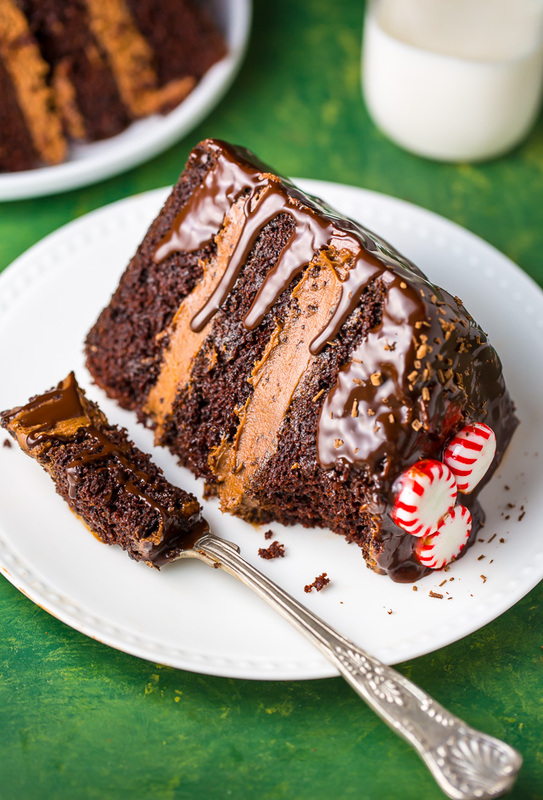 If you try this Peppermint Mocha Chocolate Cake let me know! Leave a comment below and don’t forget to snap a pic and tag it #bakerbynature and #holidaybakingbonanza on instagram! 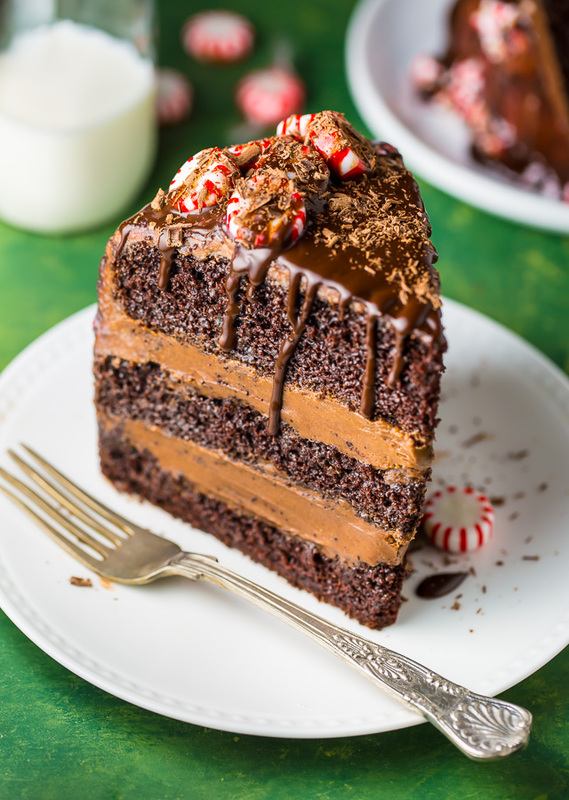 This stunning Peppermint Mocha Layer Cake is sure to be a hit at any holiday celebration! In the bowl of a stand mixer fitted with the paddle attachment, or in a large bowl using a handheld electric mixer, combine both sugars, flour, cocoa powder, baking soda, baking powder and salt; mix on low until dry ingredients are thoroughly combined. Use your hands to break up any large clumps, if needed. In a separate bowl combine the eggs, egg yolks, sour cream, milk, oil and peppermint extract; mix until completely combined. Pour mixture into the dry ingredients and beat on low until just incorporated. Pour in hot coffee and continue mixing until completely combined; about 1 minute. The batter will thin. In a stand mixer fitted with the paddle attachment, cream the softened butter on medium-speed until completely smooth; about 3 minutes. Turn the mixer off and sift the powdered sugar and cocoa into the mixing bowl. Turn the mixer on the lowest speed and mix until the sugar/cocoa have been absorbed by the butter; about 2 minutes. Increase mixer speed to medium; add in peppermint extract, salt, and heavy cream; beat for 3 minutes. If your frosting appears a too thin, add a little more confectioners' sugar; If your frosting needs to be thinner, add additional heavy cream, 1 tablespoon at a time. Using a serrated knife, carefully trim the raised top of each cake, making each one an even, level surface. Transfer 1 layer to a large plate or cake stand. Spread a thick layer of frosting on top, then gently top with another cake layer; repeat with second cake layer. Gently add the final cake layer on top then place cake in the fridge to set for 1 hour. Once set, finishing frosting the top and sides of the cake. Set cake aside while you make your mocha ganache. Add the chocolate and espresso powder to a large, heatproof bowl; set aside. Heat the cream in a small saucepan over medium-heat just until it begins to bubble around the edges; about 2 minutes. Remove the cream from heat and pour it over the chopped chocolate. Let the chocolate and warm cream stand untouched for 1 minute, then whisk it together until the chocolate melts and a smooth ganache forms; about 2 minutes. Set aside to cool completely (about 20 minutes) then pour the ganache over the cake. 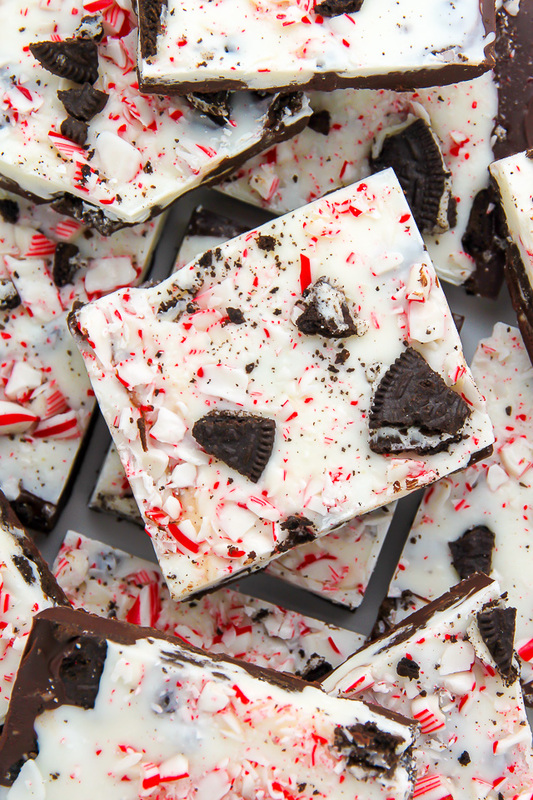 Sprinkle the chopped peppermint candies on top of the wet chocolate. Allow chocolate ganache to set before slicing. Cake may be baked up to 3 days in advance and stored in the fridge. Bring to room temperature before serving, or serve cold if you don't mind a denser cake. Unfrosted cakes may be wrapped and frozen for up to 2 months. For best results, follow the recipe as written. Holy… that image looks so good. I am positively drooling now! Ha! Thank you so much, Charmaine! This cake is so gorgeous! I would love a slice of it right now!